A 17.4 acre tract of land located approximately one mile from the Kiamichi River in Pushmataha County. In these estates, each tract is unique with something for everyone's taste. Whether you are looking for open space with native grass or heavy timber for peace and quiet, you can find it here; with access to rural water and electricity. This tract is accessed by the State Highway and County gravel road. The home on this tract is brand new. 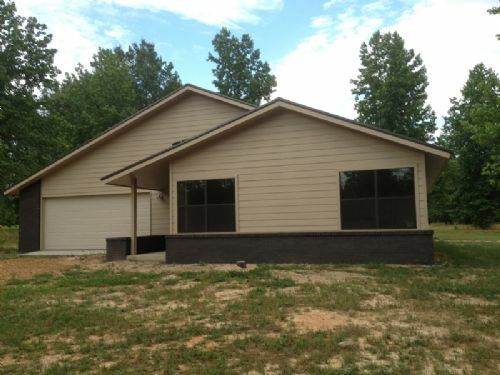 Three bedroom/2 bathroom, vaulted ceilings in the living room and master bedroom. There is tile in the foyer, kitchen and laundry room. Laminate wood flooring in the great room, carpet in the bedrooms. There is also a 2 car garage that is climate controlled. A wonderful family home!